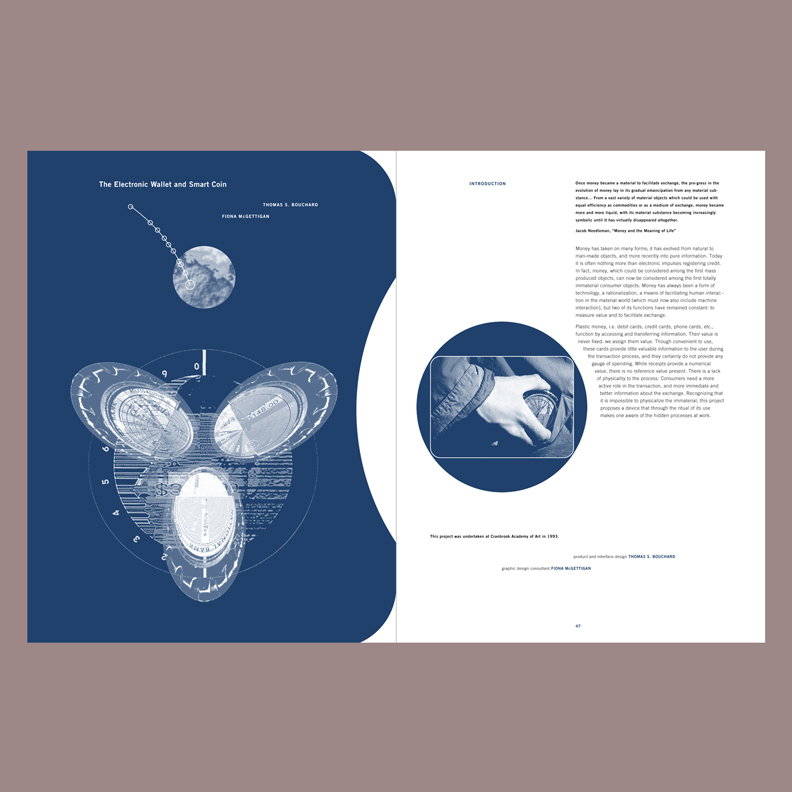 The American Center for Design asked us to partner with IDEO, San Francisco’s fledgling interactive division, in designing the journal for their first Interact Conference. 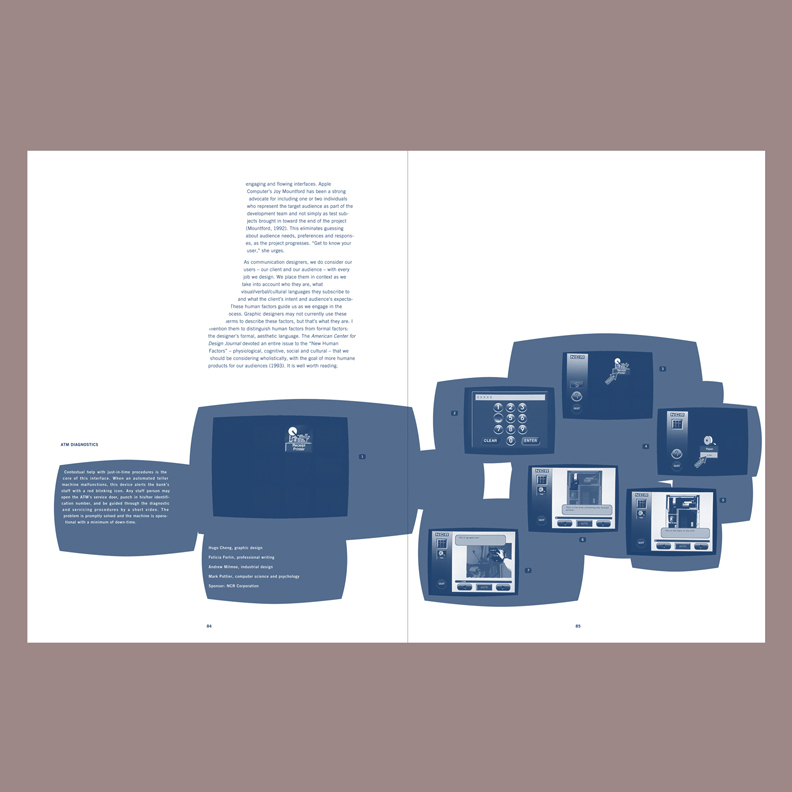 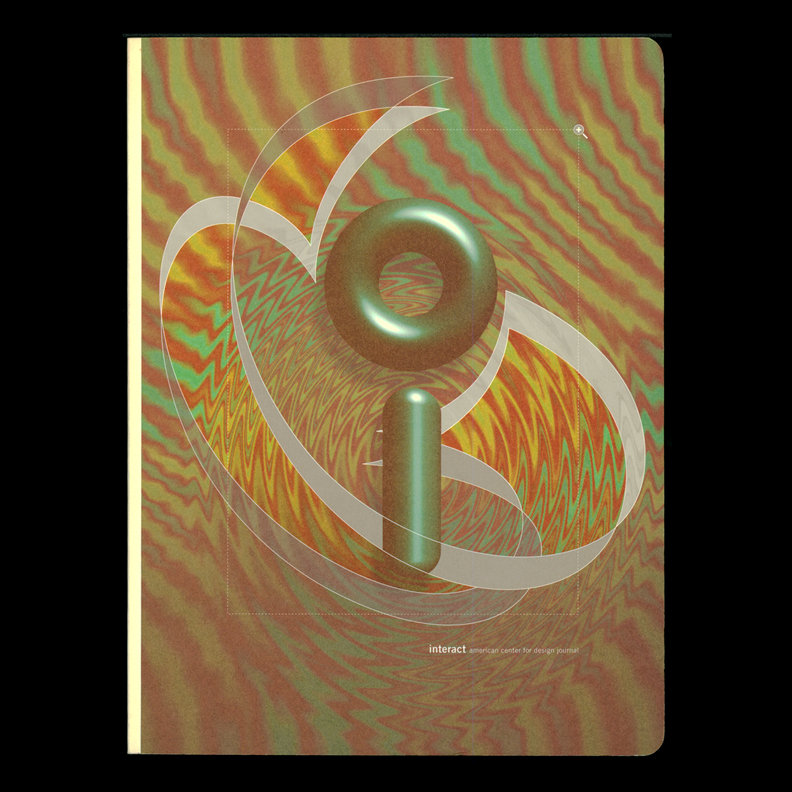 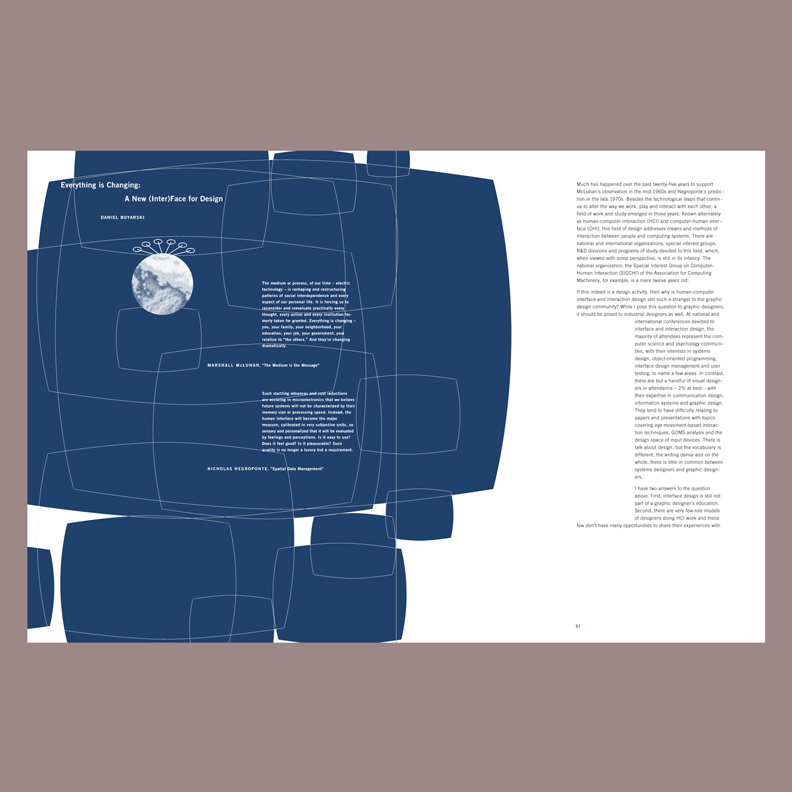 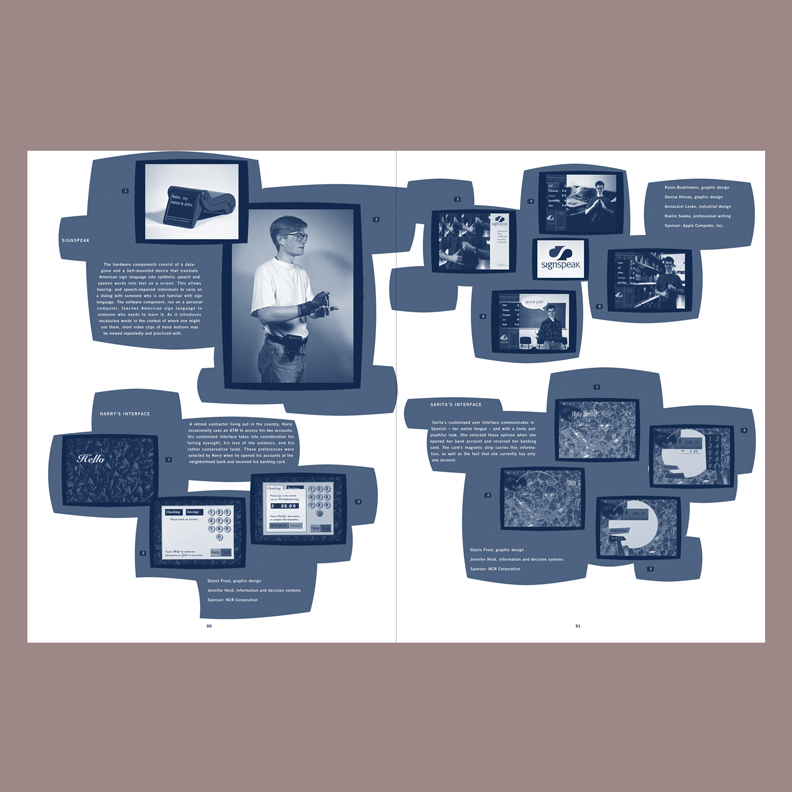 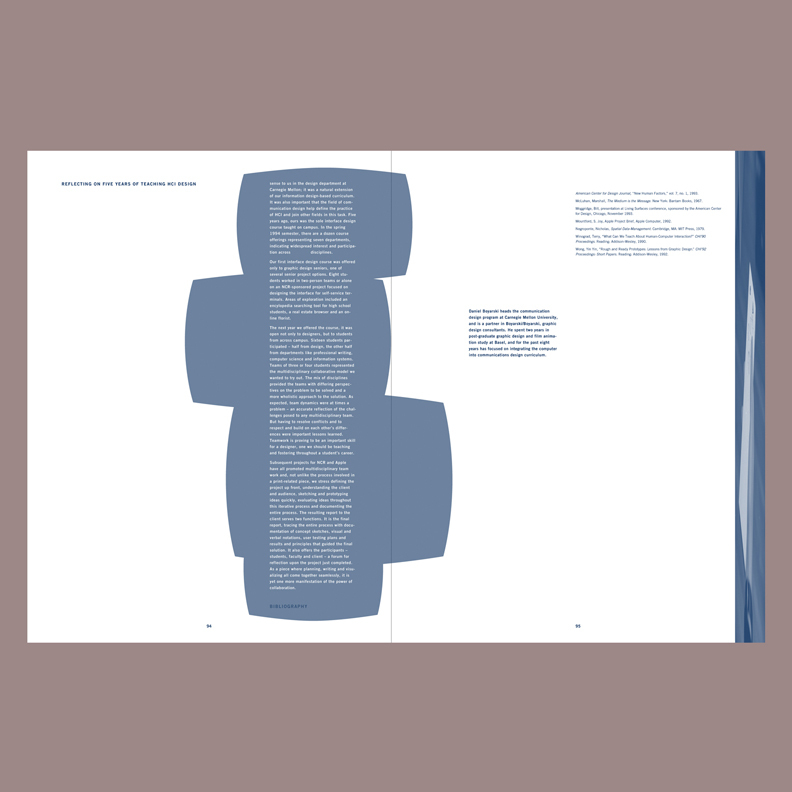 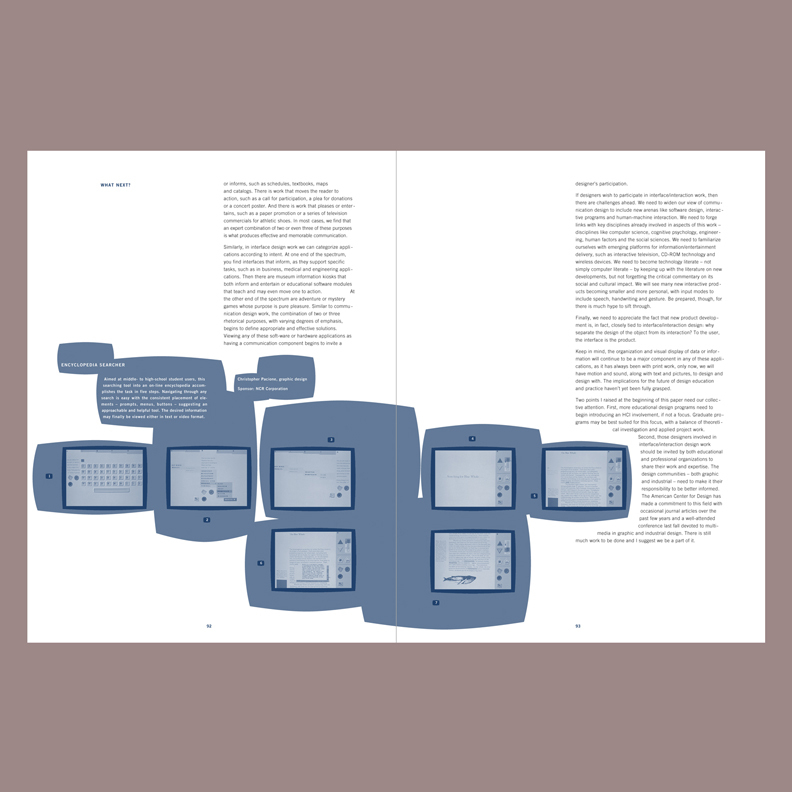 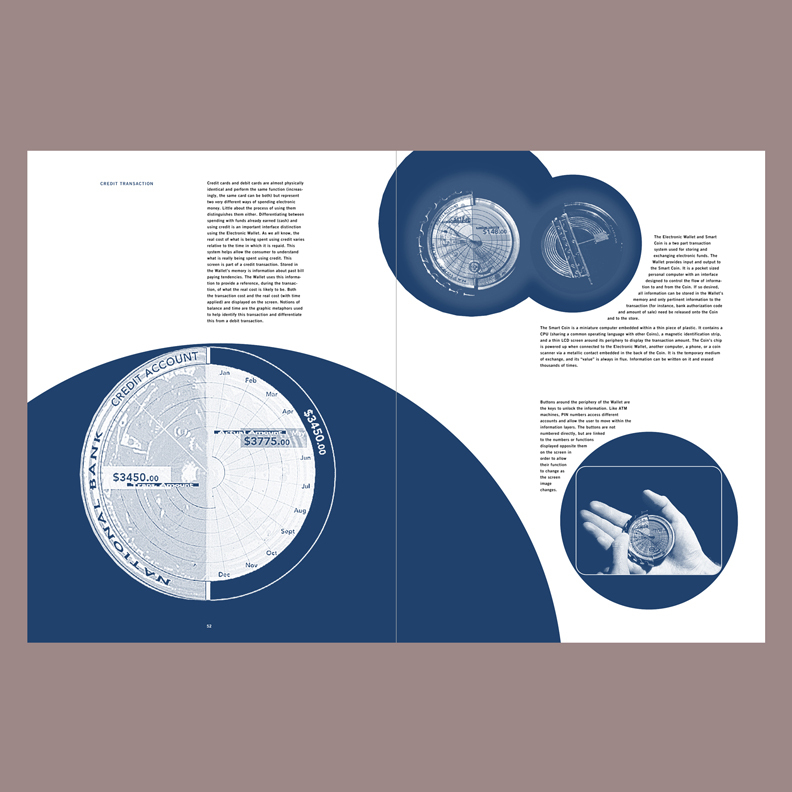 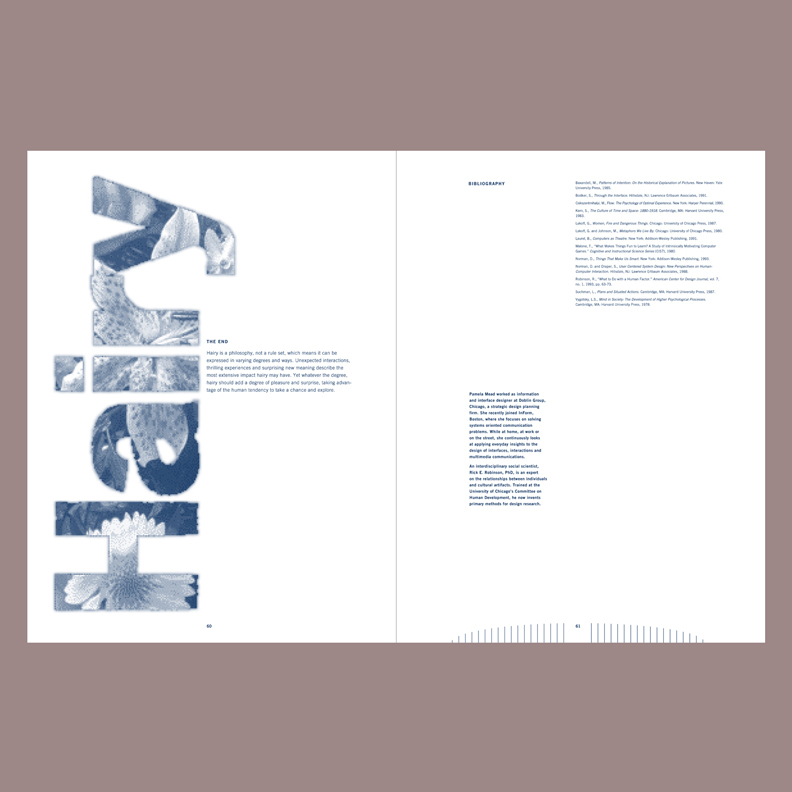 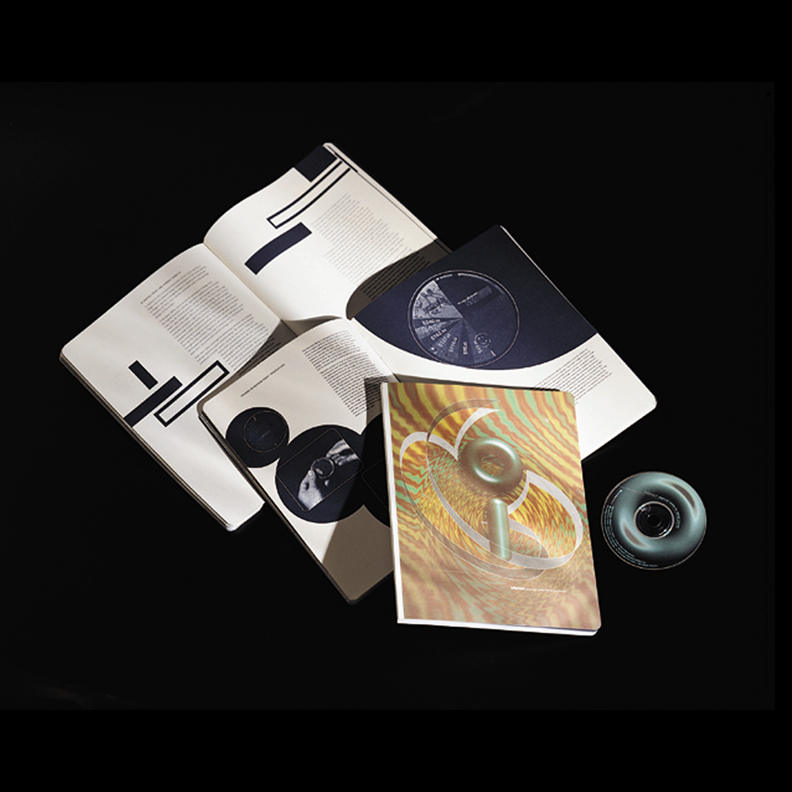 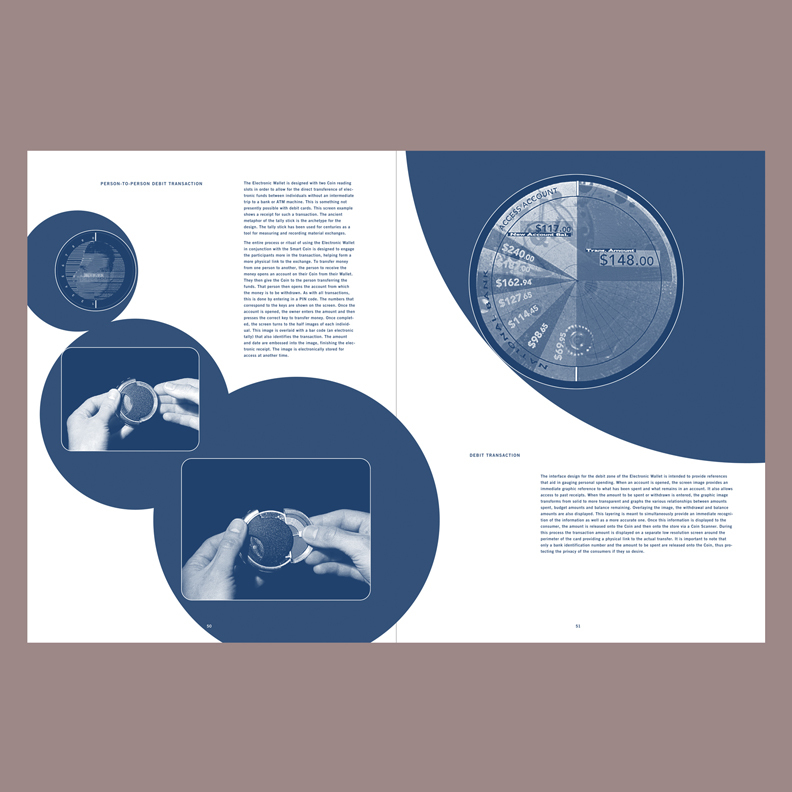 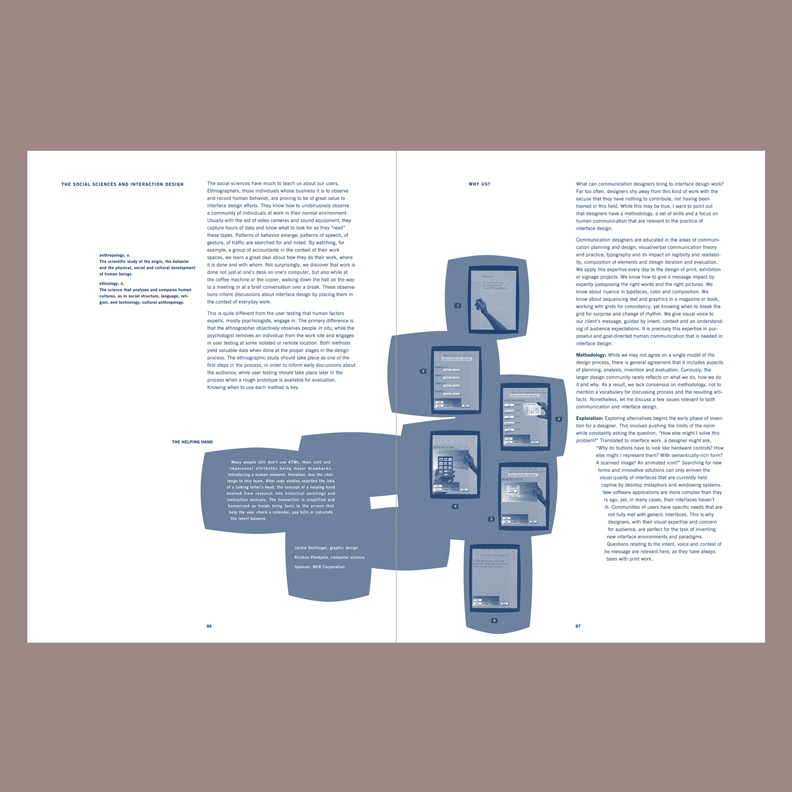 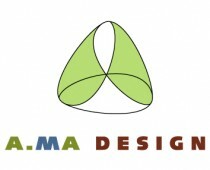 Tanagram designed the printed journal with IDEO designing the CD-ROM version. 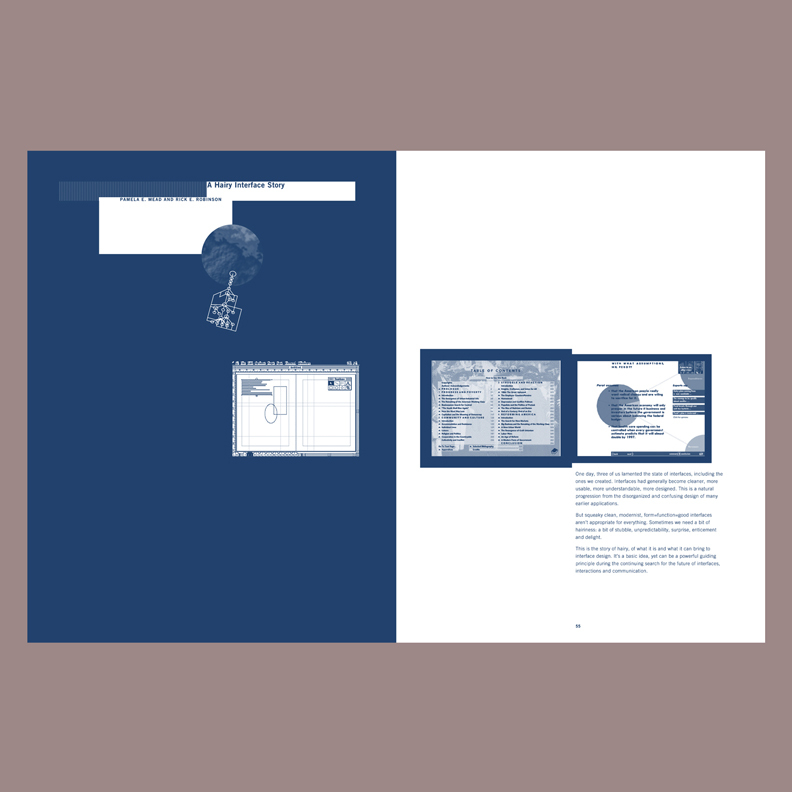 By this time we had quite a bit of experience designing CD-ROMs, which made for a seamless and rewarding collaboration. 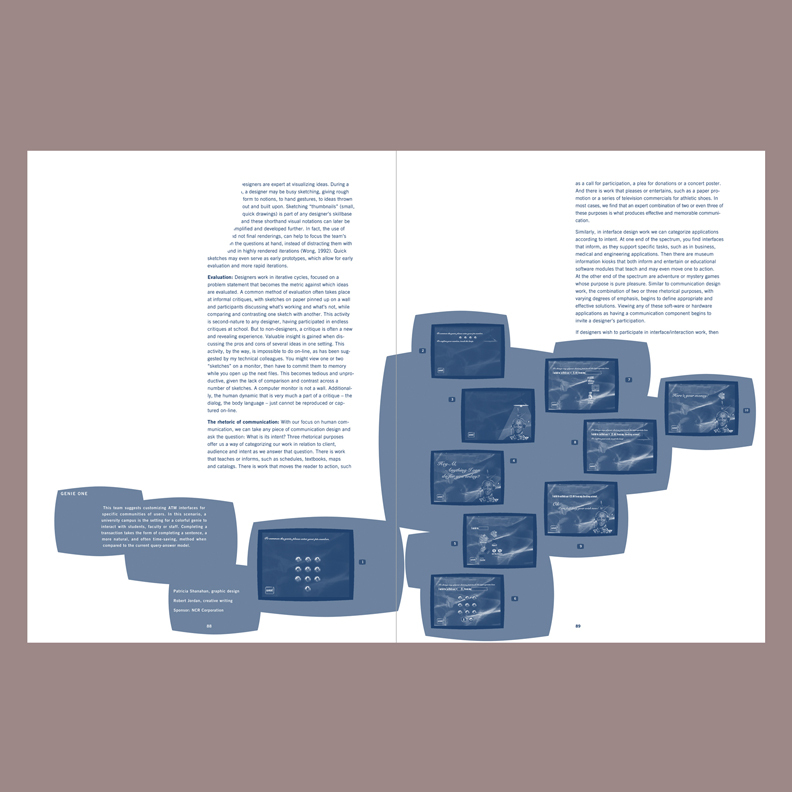 We fed visual assets to the CD-ROM developers to keep the two presentations visually consistent.